If you’re a numbers person, writing a polished cover letter can be a daunting task, but it’s well worth the effort. It is an opportunity not only to present yourself as the best possible candidate, but also to show that you can express yourself clearly. 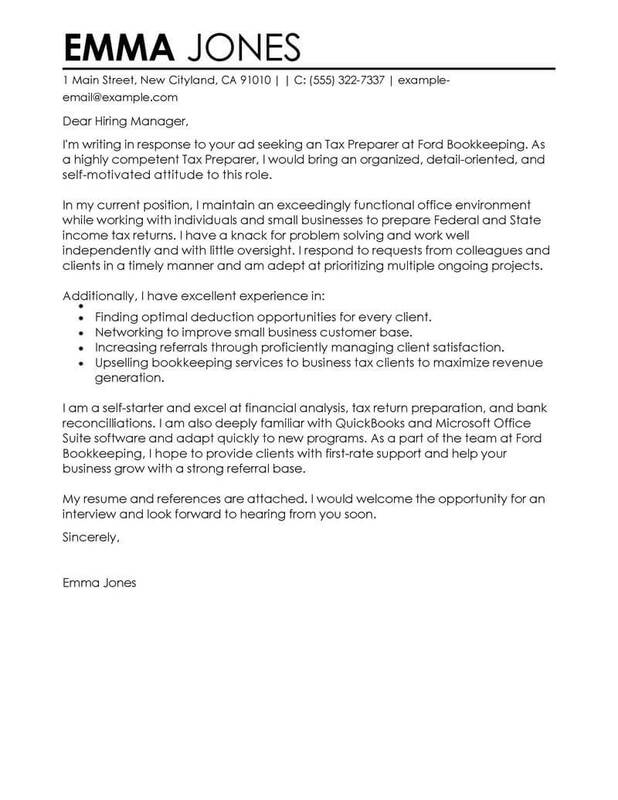 Take a look at the tax preparer cover letter example and keep these tips in mind. Don’t keep reusing the same generic letter. Taking the time to target your letter specifically to the position advertised will show the hiring manager that you have genuine enthusiasm for the job. 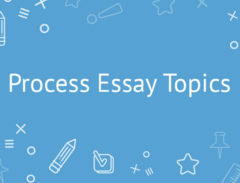 Do lighten up your writing style. Cover letters need not be written in an overly formal manner. Remember, as a tax preparer, you’ll be interacting with clients, so opt for a friendly, approachable tone. Don’t make excuses for what’s lacking. Your cover letter is not the place to point out deficiencies in experience or qualifications. Stay positive and focus on what you will bring to the table. Do find a proofreader. Simple typos can lead to big problems when you’re a tax preparer, so make sure your letter is free of mistakes. When April comes around, professional tax preparers are in high demand! In addition to coursework and specialized training, a compelling cover letter is essential to succeeding in this important field. 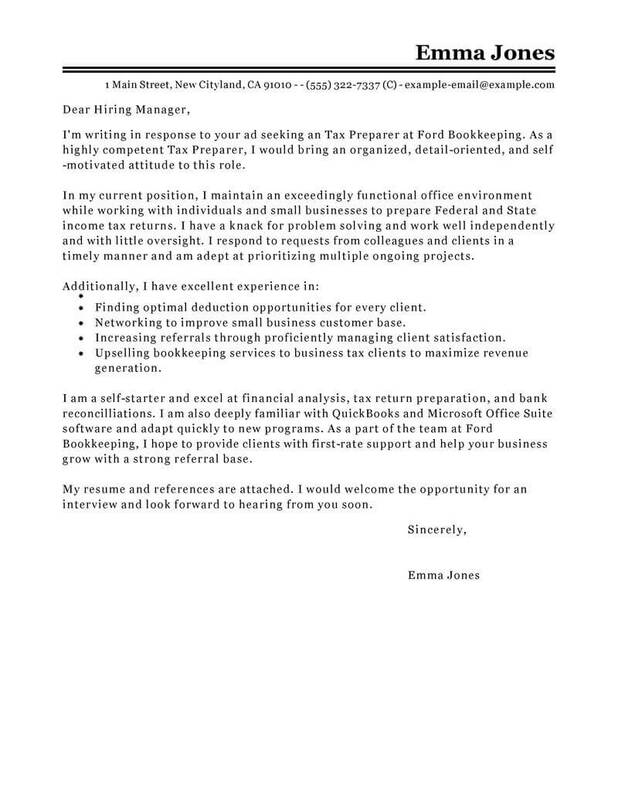 The cover letter examples below have been designed specifically for tax preparer positions. Use these cover letter examples to create the cover letter you’ll need to make an impression on employers, and land the job you’re looking for. 1. Emphasize your Strengths. By highlighting your strong points on your cover letter, it can give your potential employer a better idea of how they would be able to use you and where best you would fit in. When you include your strong points, it allows you to develop your potential and learn how to apply your character to increasing your value as an employee. 2. 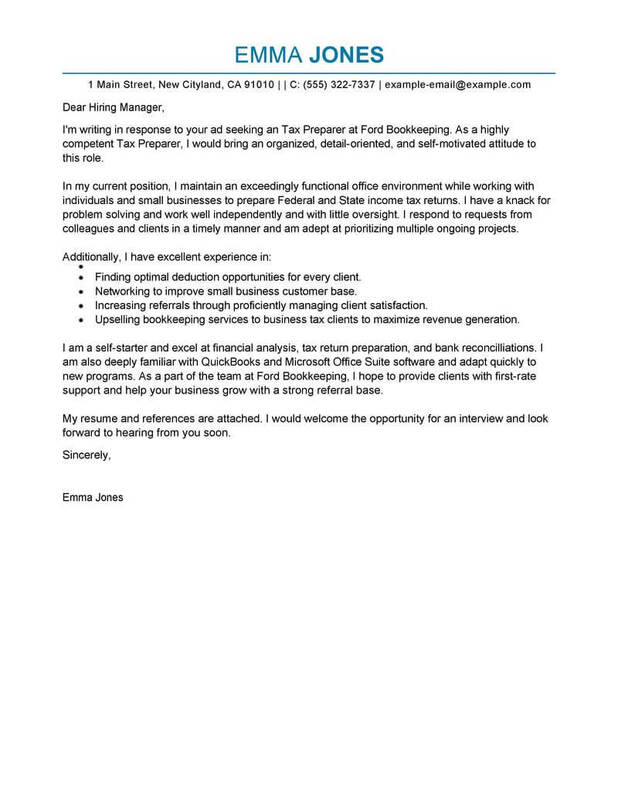 Be OrganizedCreate a cover letter that looks professional and organized. By presenting a well-written cover letter, it gives the image of being professional. 3. Have a PurposeBy presenting a character that is purpose driven and has goals, it shows an employer that you can plan your work and achieve your goals. Productive employees are what an employer looks for. Include situations in your cover letter that highlight your achievements and any awards or accommodations you may have received. 4. If you were BossWhat would you want to see in an impressive cover letter? Pretend that your cover letter was presented to you. Would you arrange an interview based on your cover letter? If not, create a cover letter that would impress you. 5. Check your Work. Never turn in a cover letter that has not been checked for spelling or grammatical errors. Mistakes make you look sloppy and disorganized, reducing your chance of getting the interview. When you are looking for work as a Tax Preparer or anywhere else, pay attention to the small details and create a more effective job search by including some simple steps. Here are five easy tips that will help you create an effective job search. 1. Learn to NetworkAn important part of your job search is learning how to use your network. Don’t forget to talk to friends or family members and let them know you are looking for work and what type of work you want. You never know who they might meet that is looking to hire someone like you. 2. Improve your job skills. Temp agencies and unemployment offices offer free classes in computer programs that can help increase your skills. 3. Have a PlanDesign a way to measure the success of your job search each day. 4. Do your Research When you take the time to learn more about the work you are applying for, it will impress a potential employer and show them you are serious about your work. Take time to learn all you can about any potential jobs. 5. Mock InterviewHave a friend or family member conduct an interview with you to remove any nervousness.